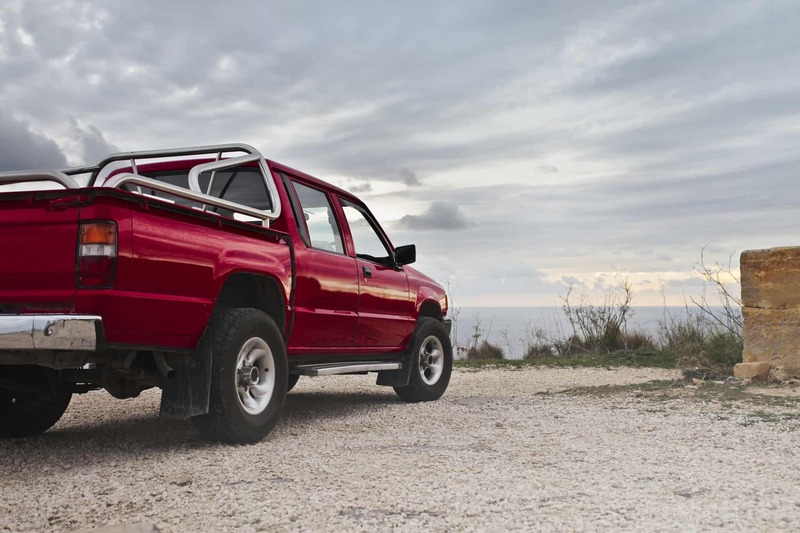 If you have a pickup truck and are looking to have some fun with it, consider these cool options and fun ideas. If you have ever left your truck, or any car for that matter, outside in the sun for a long time on a hot day, it can be sweltering when you get inside to start driving. Instead of cranking up the AC and letting your car cool down for fifteen minutes, try this hack to push the heat out of your truck in seconds. First, open the window on the passenger side of the car. Next, open and close the drivers side door several times, about 5 or 6 times total. This should push all of the warm air out of your truck practically instantly. From there you can get in your car and start driving right away, without melting in a hot truck or waiting a half an hour for it to cool down. Pickup trucks are big, there’s no doubt about it. It can be easy to simply ding a car (or unfortunately have someone else ding you), while backing out of a parking spot or tight quarters on the road. If you happen to get a minor dent in your pickup truck, you don’t have to take it straight to the mechanic right away. Instead, try the option of plunging out minor dents in your pickup truck. You can use your household plunger, or go out and buy a new one, either one is a perfectly fine option. To plunge out a minor dent in your pickup truck, place the hole of the plunger over the small dent, and plunge with your plunger like you would … anything else. Driving in a pickup truck can get dirty. When you have an authoritative vehicle like a pickup truck, mud, bugs, and other road debris can get plastered to the headlights when you and your truck power down the road. You would be surprised at how much dirty headlights can obstruct vision while driving. All of the debris that the headlight collect over time cause the lights to appear dimmer, which isn’t so helpful when you are driving at night. It is important to keep the headlights on any vehicle clean for full visibility on the road. Instead of paying for your entire pickup truck to be cleaned, try this awesome DIY hack to get your headlights shining like new. Use toothpaste! Simply smear toothpaste over the front of your headlights and leave it for a few minutes. Then, wipe the toothpaste off with a cloth to reveal bright and shiny looking headlights! It can be extremely easy to hook up a tiny house or even a trailer to your pickup truck, and then you have the option to bring your home with you when you travel! Check out this cool article on etrailer.com for more information on how to install these components. If you don’t have a tiny home or a trailer to attach to your pickup truck, it can be a fun option to build your own custom tiny home to hook up to your pickup truck. You can even buy the plans and materials it takes to make your own tiny home so all you have to do is put it together. Once you have all the attachments in place, you can have the freedom to travel anywhere in the country, and not have to worry about packing a suitcase. You can have everything you need with you when you travel, because you can bring your tiny home with you! If you aren’t looking to travel the country, and just want a night out with your truck, try a beautiful night under the stars. Throw some pillows and some blankets in the back of your truck and drive to a place with the least light pollution in your area. It’s probably the best option to wait until you have reached your destination to set up the pillows and blankets in the bed of the pickup truck, otherwise you might be leaving a trail of linens behind you while you drive! You might have seen this done in movies or tv shows, but have you ever actually done it yourself in real life? Tip: bring extra blankets with so you can pad the bed of the truck with some of them, as well as have a few for covers. Bring your best friend, significant other, or simply have a relaxing evening in solitude. Want more tips and hacks you haven’t heard of before? Check out our awesome blog!